I saw this couple adorable couple in the waiting room. They were very cozy, and I had a long time to draw them. I even took some time to render the plant. Another man sat down next to them. He was only there for a short time, so he is just a sketch. 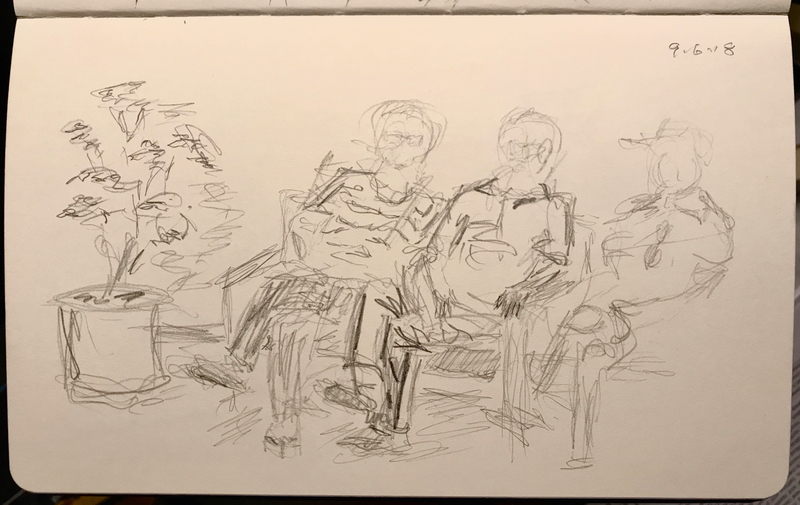 This entry was posted in Personal Stories and tagged art, artistic process, couple, creativity, drawing, pencil sketch, portrait, sketching, visual art, Waiting Room. Bookmark the permalink.